In the continuation of our series on success, we add to structure the importance of being useful. It has been said that just because one can do something doesn’t necessarily mean one should. In the case of business marketing, this is too often the case. It could be that it is too painful to truly evaluate, or perhaps it seems too obvious to spend any time on. Whatever the reason, it can be a critical oversight. Even if it feels obvious, take the time to ask what value exists in what you provide. Does it provide meaning to someone? If so, who is that someone? This is how you identify your target audience. You can waste valuable resources trying to build interest in a general audience. To obtain meaningful response, you must first identify for whom your information has meaning. For example, if I sell pianos, the value I add is to the lives of musicians and those who appreciate music. After all, they are who will benefit from what I can share and thus they will have genuine interest in what I have to say. For me to share a newsletter on pianos to a group of car mechanics would provide less than desirable results. However, if I share that same newsletter with a group of music teachers I’ve drastically increased my potential for success. To come more to the point, I’ve just “tuned in” to my customer. Find your Ferrari and you're on your way to a finish line of success. Now, to maximize potential, you can take this exercise one step further. Be a specialist, or at least identify your specialty. This is where true power lies. Too often we are blinded by the size of potential. The wise man knows that more often than not, less is more. Take Gerald Roush; a man with a focused interest in a particular car, the Ferrari to be exact. He didn’t try to make money sharing his passion with all auto lovers. No, he focused his energies and thus his audience. Last year his bi-weekly published compilation of Ferrari information, the Ferrari Market Letter had 5,000 subscribers. Now, that may seem a low number, especially compared to the estimated *10.2 million readers of the leading auto magazine. But at the $130.00 per year subscription, 5,000 becomes a most meaningful number indeed. The reason for success is simple. Roush was sharing useful information to people who shared his passion, the information was relevant and desired; it was useful and therefore generated value. So the real question to ask is if what you’re sharing is relevant, applicable and useful. 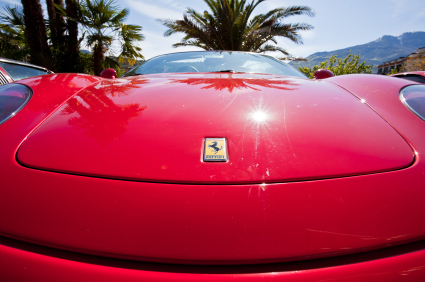 Find your Ferrari and you’re on your way to a finish line of success. Everyone wants to succeed. The driving force of excellence, success is perhaps the most valuable ally one can obtain. root system that gives that leaf life. Marketing is one of the more challenging aspects of any business. It often requires the most resources, effort and knowledge. However, success makes the investment worthwhile. The ability to correspond with your clients through email is a valuable tool and there are many things you can do to get the most out of your investment. In the coming weeks we’ll define what it takes to succeed in email marketing. We’ll start with the need for structure. Thinking of your email marketing as a construction project will help you visualize the elements and organization required to meet your client’s needs. Take the time to evaluate your business model. Determine the ways your service/product helps your customers or clients. Write these elements down so you can visually see the blueprint of your business. Then you can begin constructing the marketing bridges between your service/product to your consumer(s). For example, if my business were a salon I’d start by identifying a list of services provided such as hair cuts, hair color, etc. Then I’d generate an accompanying list of benefits these services render. This allows me to see a clear connection between the two sides and provides me a foundation for information to include in my email marketing. If I can clearly define how a hair cut can generate a self esteem boost I’ve just identified a link I can write about in an email or newsletter to my customers. Remember to be specific in this exercise. This is more than just writing words and general results. Do you provide something exclusive? Can you do something for your client they cannot do for themselves? Really think about why what you offer is better than anything else and worthy of attention. Then call your readers to this. The most important element of structure you should be getting out of this, is the value of preparing a plan - organizing a strategy. Don’t think of email marketing as a single event that repeats. Realize the potential of organizing an entire campaign where each mailing is part of sharing your message. While it’s often easy to identify the leaf, the real value is in being able to see and share the entire branch, tree and root system that gives that leaf life. When you can identify that structure, you’re on the path to success.